If you want to make your photos more beautiful, photo montage apps would be very useful for your iPhone and iPad. There are tons of photo apps on the Appstore which come with amazing photo #montages. These apps help you to make amazing photos by mixing your own photo in different types of stylish backgrounds. Here we've listed the best photo montage apps for iPhone to change backgrounds of your photographs. Check out these photo montage apps on your iPhone and iPad. 1. Photomontage PhotoLayer Pro ( For #iPhone ) - One of the best apps on the Appstore for iPhone users and it helps you make beautiful photomontages quickly on your iDevice. The app lets you make amazing photographs by combine your photo to different types of backgrounds. Photomontage comes with four main features which are multiple layers editing options, background eraser tool, shadow editing options and text editing features. Great app that lets you make amazing photographs like professionals. With the help of Photolayer app, you can change the background image of your photos, use multiple layer option to edit your images, use background eraser tool to remove unwanted objects from background and use transparency adjuster option to retouch your photographs. 2. Photo2Fun ( For iPhone & iPad ) - Perfect photomontage maker app for iPhone and iPad that is available free of cost on the Appstore. 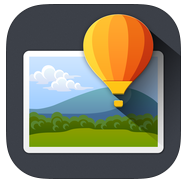 Photo2Fun helps you make amazing photomontages with just a single tap. The app contains lots of beautiful and professional photomontage templates which can be used to make your simple photographs more stylish and attractive. This app includes lots of beautiful photomontage templates, text effects and photo collage options. One of the best photo montage apps for iOS users and it helps you try stylish photo montages and backgrounds in just a few seconds. 3. Pho.to Lab ( For iPhone & iPad ) - Pho.to Lab is a popular fun photo generator that helps users to make funny and beautiful photos by adding different types of stylish or funny effects to their photographs. 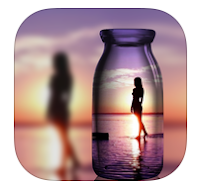 If you want to show your creativity to your friends, just install this app on your iPhone or iPad and make amazing photos by using different types of photomontages. The app contains more than 800 amazing photo templates which can be used to give professional touch on your photos. If you want to access high quality, realistic and fun montages, you have to buy its in-app purchase plans. 4. 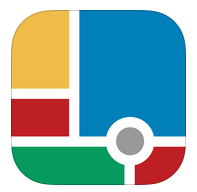 PIP Camera ( iPhone & iPad ) - Very useful camera app to create photos like professionals. The app helps you create beautiful photomontage by using your live camera & photo library option. PIP camera comes with many visual effects which will help you to create beautiful photos. One of the best montage apps to turn your simple photographs into attractive photos. You can download this app free of cost from the Appstore. 5. 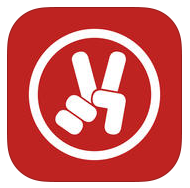 Montage ( For iPhone & iPad ) - Premium #montage app for iPhone and iPad devices that comes with many useful features. With the help of Montage, you can show your creativity to your friends. The app contains more than 200 high quality emoji, 50 filters and other tools which can be used to make beautiful photomontages. 6. Superimpose ( For iPhone & iPad ) - If you are looking for the best photo montage app with photo retouching features , try this app on your iPhone or iPad. 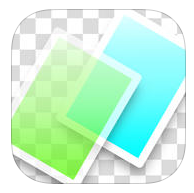 The app helps you make amazing photomontages by changing backgrounds of your photographs. The app comes with lots of photo retouching tools which can be used to make perfect photographs like professionals. You can also fix photo issues to make your photographs more beautiful. The app lets you choose background and foreground photos so that you can create beautiful photomontages easily on your iOS device. 7. 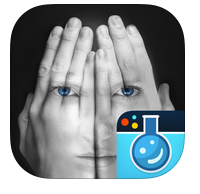 Face Swap Montage App ( iPhone & iPad ) - Great fun face changer app that is currently available free of cost. 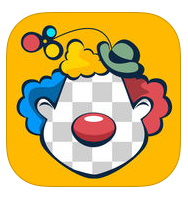 You can place your face in different types of fun photo montages to make your photos funny. Very useful app that comes with some preloaded fun photo montages. If you want to create shareable photos for your social media accounts, you must try this app on your iPhone to generate funny photos.